Poppy was the follow-on ELINT system, which succeeded the Grab ELINT satellite system. The Naval Research Laboratory (NRL) proposed and developed Poppy, an electronic intelligence (ELINT) satellite system in 1962. Poppy's mission was to collect radar emissions from Soviet air and missile defense radars. The primary organizations that supported the Poppy Program included NRO, NSA, NRL, the Naval Security Group, the Air Force Security Service, the Army Security Agency and the Office of Naval Intelligence. The Poppy Program was a component of the NRO Program C and NRL designed, developed, and operated Poppy satellites within Program C. NRO Program A provided launch support for Poppy. NSA received, analyzed, and reported findings derived from the intercepted radar signals from Poppy. The Naval Security Group, with support from Air Force Security Service and Army Security Agency, coordinated field operations and maintained and operated Poppy ground sites. The Poppy Program operated from December 1962 through August 1977 using satellites of three configurations: 20 in series, a 24 in series and a multifaceted series. A total of seven Poppy satellites launches were conducted. Poppy's average useful life on orbit was 34 months. 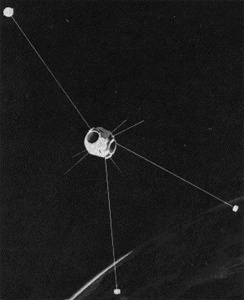 The second generation of Poppy satellites used an enlarged 24 in (61 cm) satellite structure with a central cylindrical band added giving the satellite a length of 81 cm. It featured 8 solar patches for increased power. Some satellites used experimental 2- or 3-axis gravity gradient stabilization and ammonia microthrusters for station keeping in order to maintain the orbital configuration of the Poppy constellation. Most of the 24in Poppy satellites carried a secondary payload. Under this name these Poppy satellites were known to the public with the Poppy payload remaining secret. Poppy 6C carried GGSE 2 as a technological testbed for gravity stabilisation of satellites. Poppy 6D carried GGSE 3 as a technological testbed for gravity stabilisation of satellites. The Poppy 4 launch also reached a shortlived elliptical orbit, as the Agena-D failed to reignite to circularize the orbit. 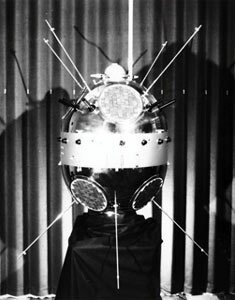 The Poppy 6C/GGSE 2 and Poppy 6D/GGSE 3 satellites were involved in a low-velocity collision about one month after launch, but remained both undamaged and operational with only the antennas having made contact.